Surreptitious use of IMSI catchers and stingray device spose a significant threat to USA businesses. ComSec recognizes the acute nature and escalating frequency of cellular surveillance attacks. In response, we developed the capability to detect stingray surveillance and provide actionable real-time information to our business clientele. As the exclusive USA provider of IMSI catcher and stingray surveillance detection services using the OverWatch system, we arm our clientele with exceptional cellular surveillance and eavesdropping detection intelligence that can be used to stop leaks of valuable and privileged information. During contracted Assurance Option Services. Federal law enforcement agencies, as well as state and local agencies, use stingray devices and other forms of IMSI catcher technology as an investigative tool. But, this technology is also available to foreign governments and foreign intelligence services, authoritarian regimes, via the black market in China, hackers, etc. If your business information or customer information is of value to an entity with access to the IMSI catcher technology, you have cause for concern. ComSec’s IMSI Catcher detection services are a strategically important tool for any business that may be targeted for cellular surveillance. To conduct nation state sponsored industrial or economic espionage attacks. To manipulate or control domestic or foreign affairs that affect policy or regulatory issues. To capture sensitive or privileged communications and outmaneuver an adversary. To steal development, engineering or other valuable intellectual property information. To identify clients, suppliers or other contacts. To capture damaging personal information about a business, its leadership or owner(s). To interrupt or stop important business communications. Can identify illegal IMSI catchers, cellular jamming, rogue base stations and baseband attacks. Provides comprehensive air interface data analysis and geo referencing. 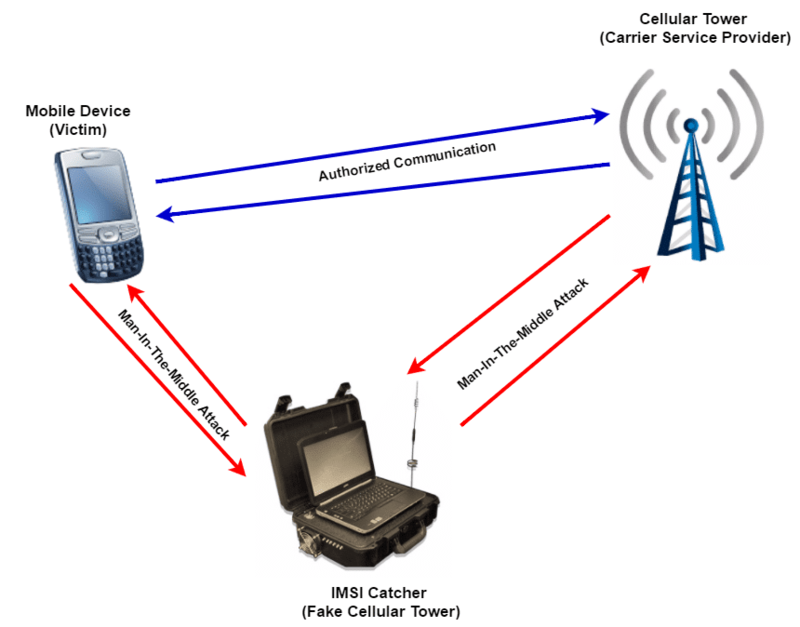 Mobile system architecture for on-site detection capabilities. Carrier grade SLA, CARE, incidents. Compatible with operator redundancy and/or visualization requirements. Reports provide intelligence at a city level, street view . . all the way down to cell details, cell comparisons and critical criteria editing. Radio jamming for either general denial of service purposes or to aid in active mode protocol rollback attacks. Conducts base station surveys to identify and map the coverage areas of legitimate cell towers.